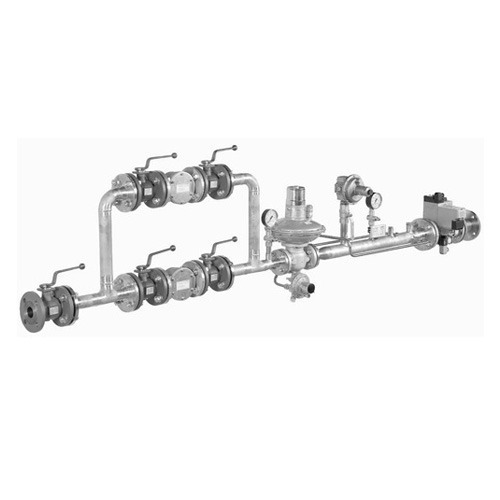 Our exclusive range of Gas Trains comprises of different components like safety relief valve, flame arrestor, pressure regulator and filter. The filter is required to remove dust and dirt particles that can cause harm while pressure regulator is meant for controlling the pressure level so that it does not exceed permissible limits. The available safety relief valve is designed to operate the system when slam shut off valve fail to work efficiently.